This is the application form for the March Family Internship Fund, which supports UC Davis Economics students who participate in business-related internships. Do you want to do a business-related internship during the 2018–2019 academic year? Would you like funding for your internship? We have scholarship awards available for Economics majors. 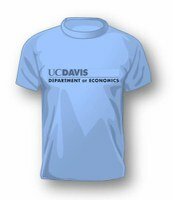 The March Family Internship Fund was established to support UC Davis economics students who participate in business-related internships. Roy March, the donor to the fund and graduate of UC Davis in economics, believes in the importance of internships as career-defining and even life-changing experiences. Applicants should research internship opportunities and address their interests and qualifications through the questions listed below. Use the UC Davis Internship and Career Center (ICC) Aggie Job Link (AJL) database as a resource for finding internship postings. Applications and résumés will be reviewed and selections made by the staff of the ICC and faculty in the Department of Economics. Ability to participate in a business-related internship in Fall 2018, Winter 2019, and Spring 2019.
International students will be required to complete Curricular Practical Training (CPT) to participate in an off-campus internship. Please email Services for International Students and Scholars (SISS) for assistance with the CPT process. **Deferred Action for Childhood Arrivals (DACA) and undocumented students encouraged to apply. By pressing submit, your application will be automatically emailed to the Economics Department.